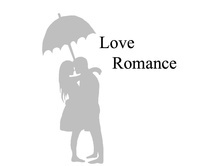 What is your favourite romance film? Do you have a favourite romance film? It can be from any age, any language...and it could have made you shed a tear! Hmm, tough one. Like Matteo I liked 'About Time', but I also like a good rom-com. The Notebook had too few laughs for me. 'Easy A' would have to be a favourite, or 'She's the Man'. Neither take themselves too seriously. Easy A is brilliant. Feminist, too. I like Two Weeks Notice because it is a RomCom. I'm not that into the romance genre to be honest. I do really love 'Love, Actually" (as you may guess from the picture). I love Christmas so this movie fits into that category, but the whole cast is just brilliant. Thanks for posting that. It had been driving me crazy trying to work out where I had seen Rick from The Walking Dead before (though not enough to actually get around to looking him up on IMDB). Being a... ahem...more 'mature' woman, I fell in love with Last Chance Harvey.' Dustin Hoffman plays a lovely gentle soul who finds love later in life with Emma Thompson. It's cute and awkward and realistic. I really enjoyed Love Actually. And the recent film About Time was a lovely film too. I think that the standard for romance films is the Notebook though. That was pretty good too I guess. The Notebook - Rachel McAdams and Ryan Gosling, by far. It's hard to pick just one. I think for me it's maybe a toss up between Crazy Stupid Love (with Ryan Gosling and Emma Stone, mainly for THAT SCENE) an the Aussie flick Love and Other Catastrophes (Radha Mitchell, Frances O'Connor and a bunch of other talented people). I tend to prefer a bit of comedy in my romance. Oh, and there's One for the Money by Janet Evanovitch which has a blend of action and comedy. Ethan Frome with Liam Neeson and Patricia Arquette.